Zula Presents' Something! Else Festival returns to Hamilton next month, and the list of performers has been announced. 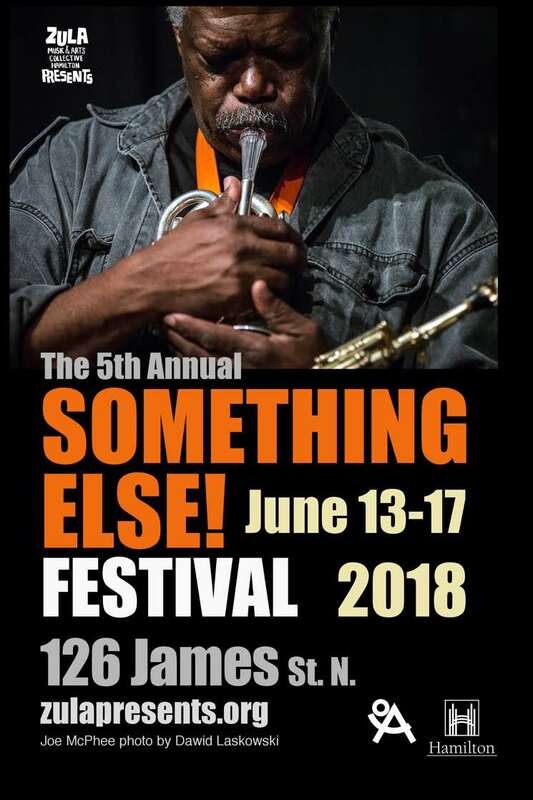 In addition to artist-in-residence Jesse Stewart, the five-day fest will feature sets from Eugene Chadbourne, William Parker, Joe McPhee, Michael Snow, Roger Turner/Monicker, Susan Alcorn & Amy Brandon, Will Guthrie, David Mott, Heather Cornell, Nicolas Caloia, Artifacts Trio, the Young Mothers, Parker & Nicholson's Hope Cries for Justice, Gord Grdina Quartet, Cluttertones, Sick Boss + Löve and more. As demonstrated by the eclectic collection of artists, Something Else! showcases "newer traditions in jazz, free, experimental, the avant-garde, improvised music & multidisciplinary arts" from around the world. The festival runs from June 13 to 17. All shows will take place at 126 James St., except for a free Snow & Stewart show at the central branch of the Hamilton Public Library on June 16. Find full festival information, including ticketing options and day-by-day schedules, at the Something Else! website.